While Maternal Health and Maternal Mortality are major topics of discussion on the national scale, another important aspect of care during a Labor & Delivery hospital stay is that of newborns. It’s also fitting that I’m talking about infant safety during what Gov. Asa Hutchinson recently named Safe Sleep Awareness Month in Arkansas. In addition to my involvement with quality improvements focused on the health and safety of the delivering mother, which I mentioned in my last several columns, I am also involved in setting standards and continuing best practices to prioritize the health of our newborn patients. 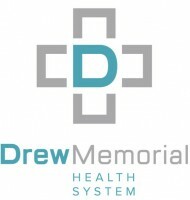 As you may be aware, Drew Memorial opened a new, expanded nursery- The Olivia Faith Beebe Nursery- this summer as part of the 51,000 SF expansion project. Even before it opened, our staff had been implementing measures to improve how we meet the needs of these tiny patients. First, our staff are well-suited to help educate parents in childbirth, feeding, and safe sleep practices. Chelsea Gulledge, RN is the only ICEA-certified childbirth educator south of Little Rock, which means she prepares our expectant moms for best-case scenario deliveries. She’s increased the amount of newborn-care education found in the existing course curriculum which helps ease the transition home for the family of a new baby. We are also developing a new course, dedicated entirely to newborn care, which we hope to roll out in the next few months. There is also a SafeSitter(R) class offered periodically for young teens who will be caring for children and babies independently. We have a full-time IBCLC-certified lactation consultant in Rebecca Traugott, RN, who has steadily increased partial- and exclusive-breastfeeding rates since she began in a full-time capacity this summer. While not every mother may choose or be able to breastfeed exclusively, breastfeeding education means parents are fully informed about its benefits. We encourage it, because breastfeeding has been proven to improve overall health outcomes for both mom and baby, down the road. Our entire nursery staff also has seen great success since implementing HALO Sleep Sacks, a brand of swaddle that encourages the safest sleep practices for newborns and infants. All of our hospital’s patients under one year of age are put to sleep on their backs in a sleep sack, to align with CDC-recommended sleep guidelines. Our team of staff educators, a number of policies we have in place, and the implementation of sleep sacks has led our hospital to be named a Gold Safe Sleep Champion institution by the Cribs for Kids program, a national organization which is also committed to spreading safe sleep practices and reducing infant deaths. It has been indicated in academic studies that premature infants are at a greater risk than full-term infants for SIDS (Sudden Infant Death Syndrome) and SUID (Sudden Unexpected Infant Death). For that reason, we aim to reduce the likelihood of SIDS and SUID by delaying delivery as long as possible. We have eliminated early elective deliveries – which means that prior to 39 weeks’ gestation, a mother is not induced for labor unless there is a medical necessity. This is best practice worldwide to be sure baby’s vital systems have developed sufficiently for living outside the womb. The March of Dimes has recognized us for this policy effort. There are a number of groups that are also committed to improving infant outcomes which we are able to partner with as we look to future plans for facility and care advancement. The CDC has awarded us an EMPOWER grant, which funds staff education focused especially on breastfeeding. Closer to home, our Blue & You Grant with Baptist Health funds training activities related to breastfeeding and how to implement a number of other baby-friendly-hospital measures. It equips our staff with the latest tools for treating infant patients and for educating new parents about newborn care and feeding. Caring for patients in any area is a team effort. We have three OB physicians locally (Dr. N. Lakshmi Battala, Dr. Julia Nicholson, and Dr. Kelly Shrum) which increases the number of women who can deliver right here in Drew County, and it also makes their regular prenatal appointments more convenient. I mentioned it last time, but I can’t emphasize enough how important regular prenatal care is to both the mother and infant’s long-term health outcomes. We also have a pediatrician on our medical staff, Dr. James Atkins, and he also now serves as the medical director of the nursery. It is in this role that he leads a Nursery Task Force made up of several staff members. With his involvement, and because of an increased level of nurse education in the Nursery, we are a Level 1 Nursery, and are actively pursuing a Level 2 Nursery designation. With each increase in nursery level status, our hospital is able to keep higher risk babies on-site for longer, eliminating trips to larger hospitals and avoiding mother-infant separation whenever possible. While each case is unique, we are able to keep higher risk babies than we could even just one year ago, because we now have more high-level training for all staff, and also boast NICU-trained nurses. Our goal is to treat mothers and babies close to home when possible, and our task force is helping us meet that goal more often than ever before. Finally, I am encouraged by the fact that many of these measures, and a great team of care providers, has led to increased use of our Labor & Delivery unit. We opened the new facility in June, and within the first month we surpassed our one-week birth record – 14 were born in just a seven-day period. Since we opened, we’ve seen steady increases in our monthly deliveries as well. Earlier this year, about 29 births per month was close to average. Although we are only in mid-September now, we already expect more than 50 deliveries by month’s end. This entry was posted on Monday, September 24th, 2018 at 3:07 pm	and is filed under Medical / Hospital. You can follow any responses to this entry through the RSS 2.0 feed. You can leave a response, or trackback from your own site.